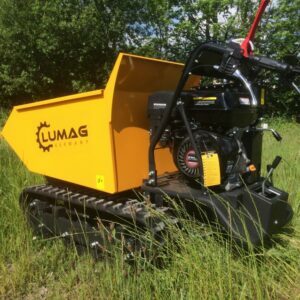 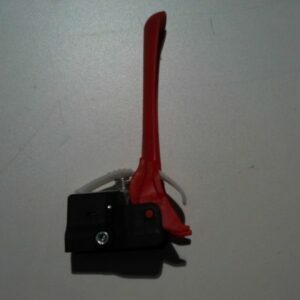 The Lumag brand is known throughout Europe for it’s professional quality and affordable price. 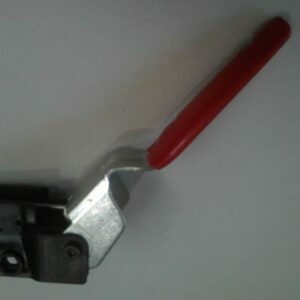 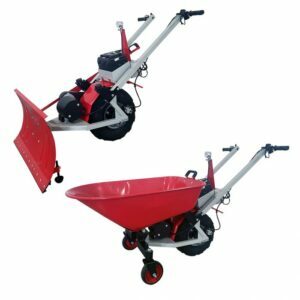 We offer a wide variety of professional, domestic and semi pro and electric ranging from 300 to 500 kg. 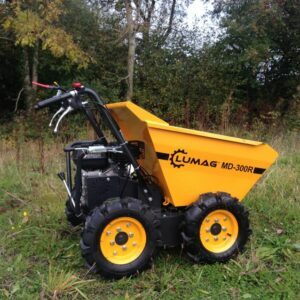 Whether you are looking for a mini dumper with tracks or wheels, one that’s manual load or self loading, one that’s manual or hydralulic tip or one that’s petrol, diesel or electric we have a dumper for you! 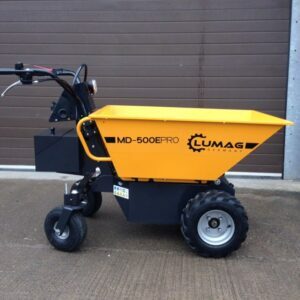 Our mini dumpers are ideal for transporting materials such as sand, salt, gravel, building materials, garden waste, stone, wood etc. 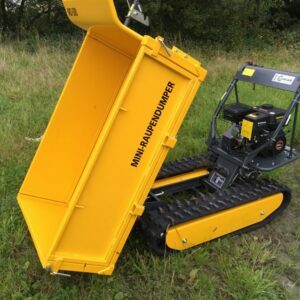 One of the great advantages of our mini dumpers is their width, with a width of between 64 and 87 cm our mini dumpers should fit through the narrowest of gates and paths. 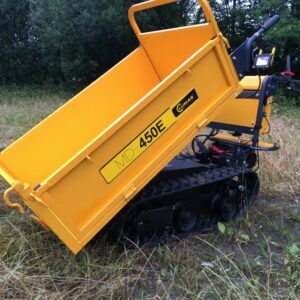 Our professional mini dumpers are tracked and fully hydrostatic. 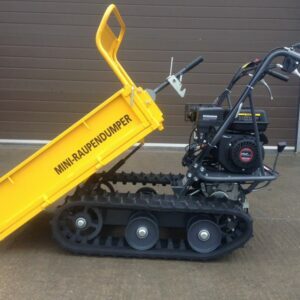 The rubber tracks provide excellent grip which make these mini dumpers particularly good for use on steep slopes and rough/uneven terrain. 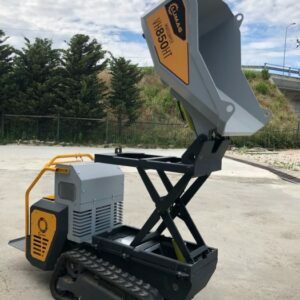 The hydraulic dumpers are long lasting as they have no wear on cables, pulleys, couplings or belts and the hydraulic drive ensures trouble-free operation. 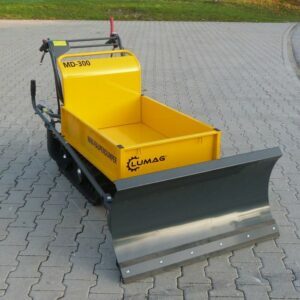 Our professional dumpers feature a hydraulic tip and the PRO Series also has the ability to load itself. 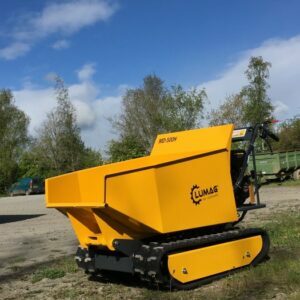 Our domestic and semi pro range of mini dumpers includes a wide variety of wheeled and tracked dumpers ranging from 300 to 500 kg. 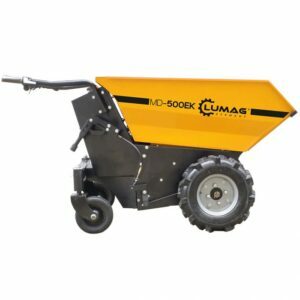 Our wheeled dumpers are particularly good for use on smooth, slippery and/or muddy soils due to the chain driven 4 wheel drive and skid steering which offer considerable grip. 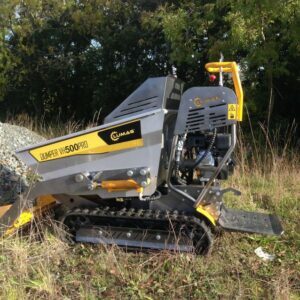 The skid steer system allows you to spin on the spot with no need for lifting or dragging. 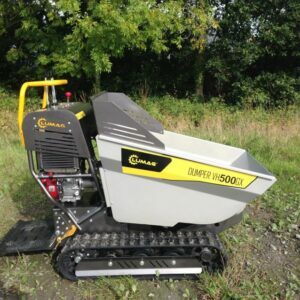 Our range of electric mini dumpers are quiet, environmentally friendly and ideal for use indoors. 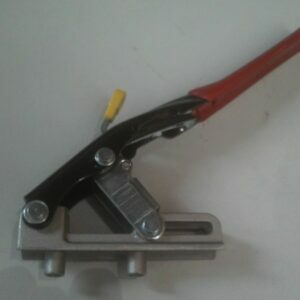 They require no annual maintenance and start without fail!